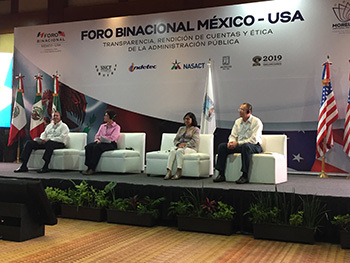 Several NASACT Executive Committee members recently participated in a bi-national U.S./Mexico forum entitled “Transparency, Accountability and Ethics in Public Management.” The forum was held in Cuernavaca, the capital city of Morelos. 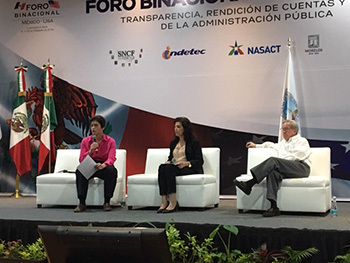 NASACT was invited to participate by Alejandro Villarreal, the new finance secretary of the state of Morelos, to speak on ethics, internal control, transparency, and other topics of mutual interest. 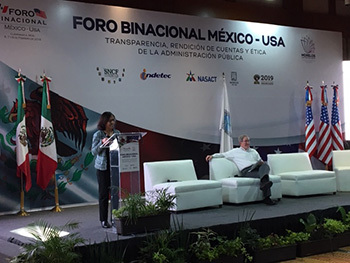 Participating from NASACT were President Clark Partridge, state comptroller of Arizona, Second Vice President Elaine Howle, state auditor of California, and Executive Committee member Manju Ganeriwala, state treasurer of Virginia. 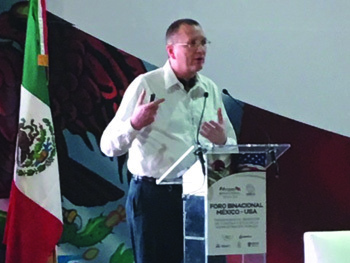 Also participating were Executive Director Kinney Poynter and Daniel Ebersole, lifetime member and former state treasurer of Georgia. Government Accountability: The Role of State Auditors, Comptrollers and Treasurers in the U.S.